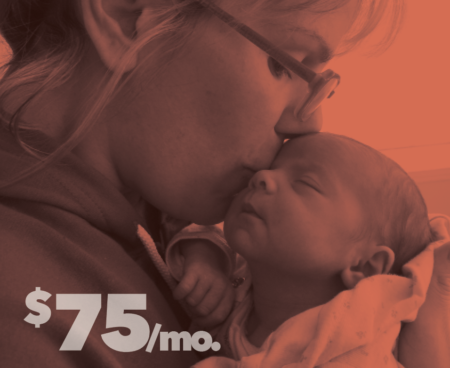 Consider joining YWCA Spokane’s community of Impact Partners by activating a monthly donation today. Your sustainable gift creates sustainable change in the lives of the 16,000 women, children, and families we serve in Spokane each year. Giving of any kind, begins the process of change, and moves us to remember that we are part of something much bigger. 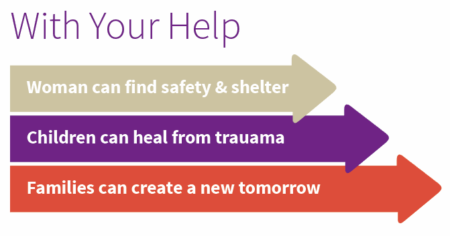 Healing | YWCA Spokane spends $24,000 a year on basic food and necessity staples for survivors staying at our safe shelters. 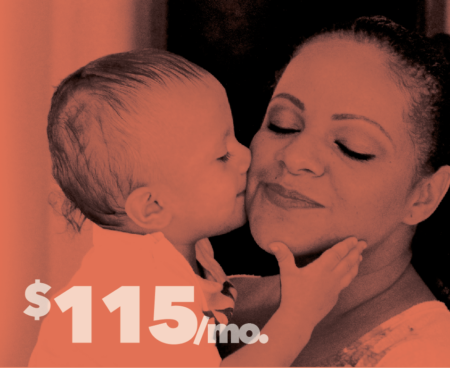 That equals $115 to feed a mother and her children while they focus on healing from a traumatic relationship. Justice | YWCA Spokane provides $270,000 worth of free attorney and legal assistance services to domestic violence victims every year. That equals $75 per case for assistance with crucial family law cases. 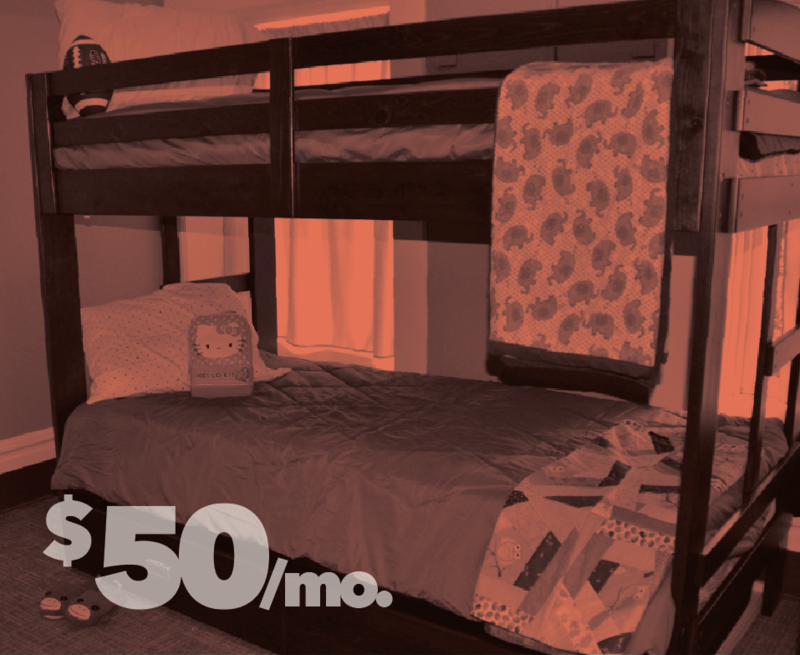 Safety | YWCA Spokane spends $15,000 a year on hotel stays for domestic violence survivors who are fleeing a violent relationship when our shelters have reached maximum capacity. That equals $50 a day for a safe place to sleep. Empowerment | YWCA dedicates $335,000 a year to the Women’s Opportunity Center: a free, trauma sensitive environment for women to learn new skills, look for work, and access job coach services, a computer lab, and professional clothing. 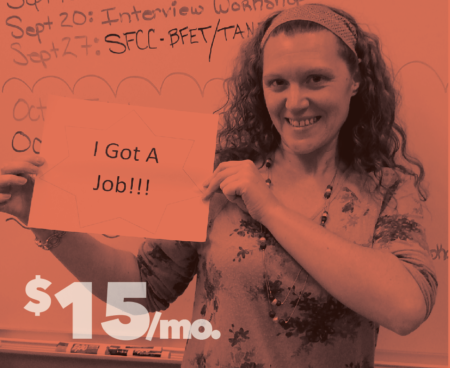 Just $15 a month helps provide access to a safe community of support. Our Impact Partner recurring donor community is full of a special group of caring individuals who deeply believe in YWCA’s mission and impact in Spokane. We see you as a crucial part of our foundation and how we choose to move forward in our work. Your input is so valuable to us and we look forward to nurturing our partnership and deepen ways to further our impact on women, children, and families in Spokane. Starting a recurring monthly donation to benefit the over 16,000 women and children served by YWCA Spokane is easy. You can activate your gift online or mail in your recurring contribution via check to YWCA Spokane, 930 N. Monroe St., Spokane, WA 99201. Please give us a call at 509-742-0111 or email Dana Morris Lee at danam@ywcaspokane.org if you have any questions. Thank you for your support!